You’ve experienced some form of Japanese culture. Yes you. Food, ninjas, karaoke, origami, strange internet movies, to name but a few. Japan is unique. A good type of unique. Not present day Syria unique. 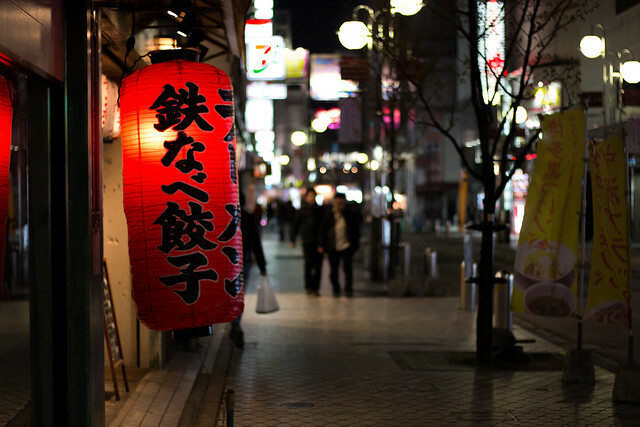 So Japan shouldn’t be too hard to delve into as a tourist and it’s not. But it’s unique, and you have to embrace the uniqueness. Welcome it and start dancing. Japan, obviously, has a lot of international airports so that’s probably the way you will enter Japan (unless you’re ferrying in from Korea). 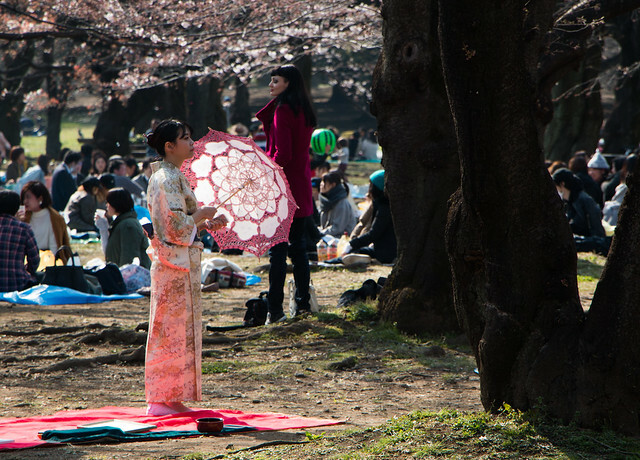 You may be thinking only about Tokyo though, but there are other options! For us, we chose to fly into Fukuoka so we could work our way up to the Tokyo area. (after briefly travelling south to Nagasaki). Japan Rail Pass. Check to see if it is worth it for your itinerary. Figure out your train journeys you will be doing and put them into Google Maps or Hyperdia (comes in very handy when in Japan) to figure out the cost. Total it all up and see if it’s more than the price of a Japan Rail Pass. If it is? Buy a Japan Rail Pass! Easy! The Japan Rail Pass also cuts down on the stress of getting tickets at each train station. You can go into one of the JR offices at each station prior to a specific train departure (the earlier the better) and reserve a seat too…if you’re so reclined hehe. It worked out very well for us and we were very pleased at how smooth it was to reserve seats and board trains. Make sure you go through the manual gates to the tracks as the Japan Rail Pass is not swipe-able on the automatic gates. While you’re booking your Japan Rail Pass, also get a pocket wifi device too; this is very handy for those many non-wifi covered areas in Japan. Fukuoka is a nice little compact city. The airport is very close to the downtown area. The main train station is called Hakata so that might be why looking for Fukuoka Station doesn’t come up when you Google it! It’s only 6 or so minutes from Fukuoka Airport to Hakata Station (you need to take the free shuttle bus from international terminal to the budget terminal first – easy) on the Kuko line – which costs 260Yen. We stayed at the Forza Hotel (TripAdvisor review here) a few minutes walk from Hakata station so it would be easy to get to our train. We walked everywhere and it’s a nice city to walk through. There’s not a crazy amount of touristy stuff but we saw a bit. One of the nicest little shrines we visited on our trip was the Kushida Shrine – which was small but quiet. As you go further north the shrines become tourist hellholes. 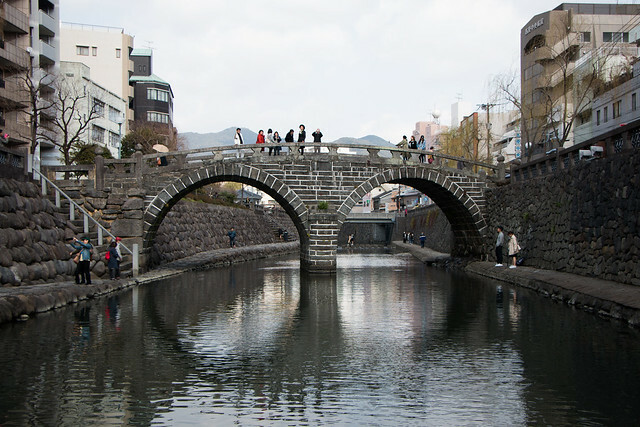 We visited Maizuru and Ohori parks and had a pleasant walk around them – taking in the remnants of Fukuoka Castle. 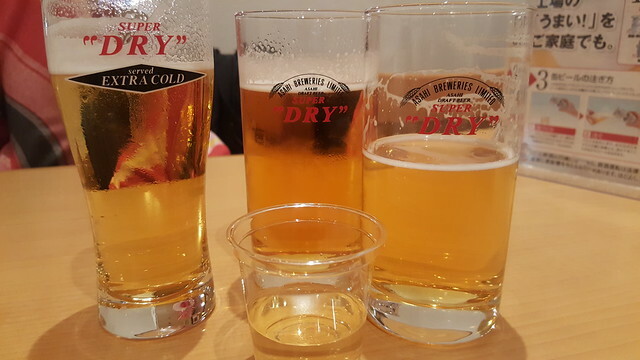 There is an Asahi Brewery in Hakata who do tours in English. It was recommended that we ask our hotel receptionist to organise it the day before. So we did; she came back and said no English tours the next day available but we could join a Japanese one. No worries as we are just there for the tasting. We arrived a few minutes late to the brewery (only a few stops away from Hakata station at Takeshita station) and one of the workers walked us into the brewery to join the group that had already left. It was in English. Weird. Anyway don’t go on a Sunday if you want to see beers being bottled as nobody works on a Sunday. 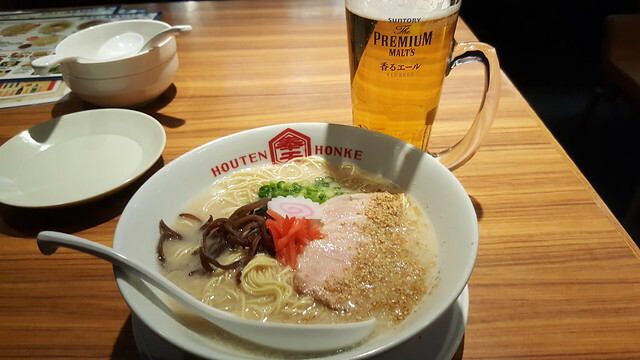 Food wise, Fukuoka does a mean Tonkatsu ramen which has a creamy broth instead of a clear one. Delicious. 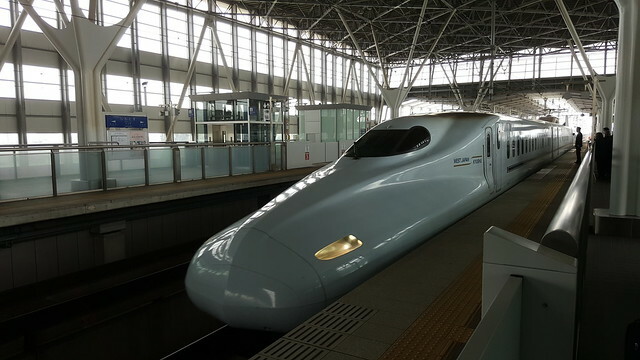 A three hour train trip south-west from Hakata lies Nagasaki. Known for its atomic past; it’s a very interesting city. It has a lot of European roots due to its place as an important trading port for the Portugese and you can see some of the European style buildings apparent when you walk around. 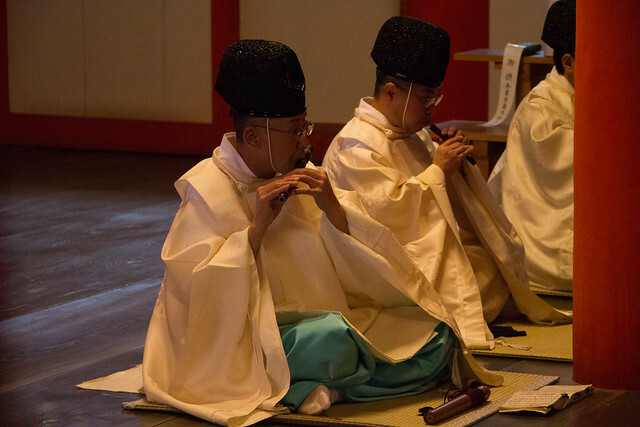 There are a number of things to see tourist-wise in Nagasaki. You can make use of the street cars to get around. You get on through the middle doors and you place the flat fare 120Yen in the fare deposit bucket when you leave the front door of the tram. We walked through quaint little alleyways from the Richmond Hotel (TripAdvisor review here) to Glover Garden taking the cool diagonal elevator. It was pouring down (rain) when we visited but the views from the top were nice and the gardens were relaxing (even in the downpour) to wander around in. Of course, the major attraction in Nagasaki is the Atomic Bomb Museum which is a must see and a powerful introduction to the history of the area during WWII. A different approach is taken here than the Hiroshima Atomic Museum and I must say I preferred Nagasaki’s style better. 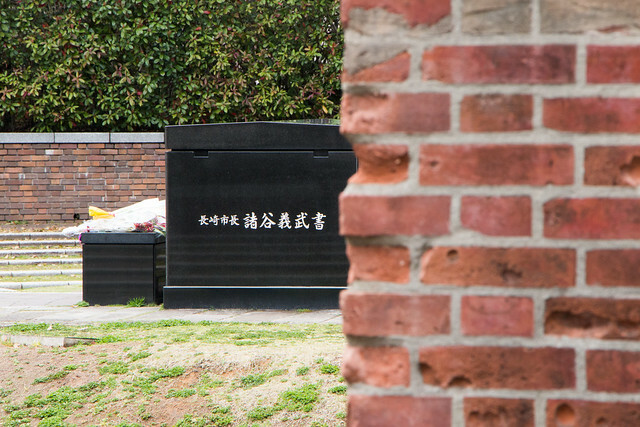 Around the museum, you must also walk around and visit the Hypocenter Cenotaph, the Memorial Park, and make sure you find the illusive one-legged torii which survived the blast. Eerie stuff. You must take a minute to picture the scene in 1945. Another attraction is the “spectacles” bridge. Can you see why it’s called that, hmm? 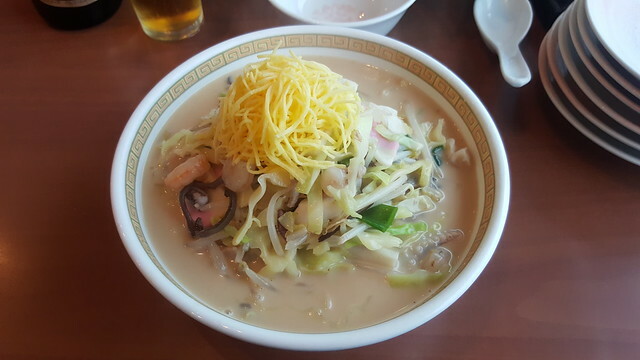 Food-wise, Nagasaki has some cool and unique dishes to try. Chanpon is a fish based ramen dish which was quite nice. My favourite dish was the (Toruko) Turkish Rice though, which I got at Tsuru-Chan (no English, just point and smile!). 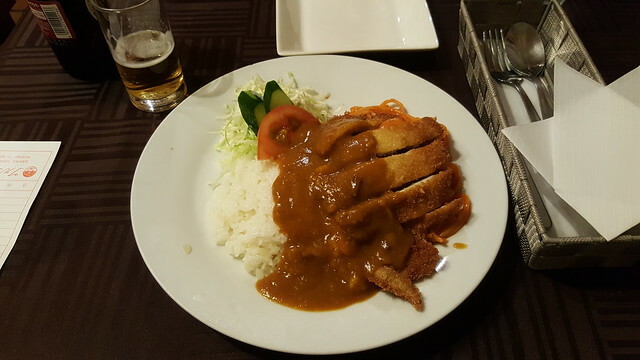 It’s spaghetti, pork cutlet, and rice AND curry AND a tomato sauce. Amazing! The other atomic city in Japan. Again, a must stop at city if you are passing by. 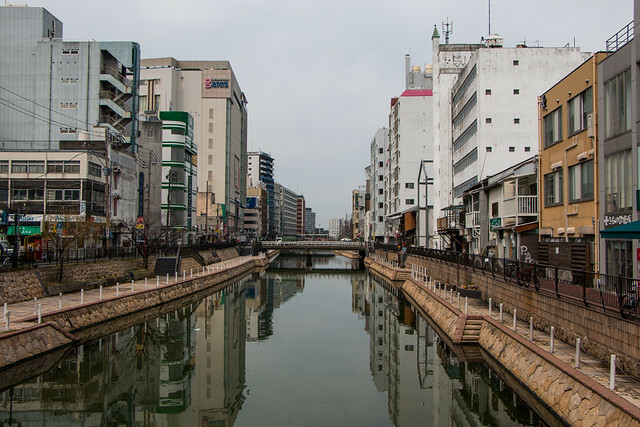 We stayed at the Hotel Granvia at Hiroshima Station (TripAdvisor review here) which was a little bit of a trek to the Peace Museum but not an unpleasant one and you get a sense of what the city is like from wandering the streets on your way. We stopped off at Hiroshima Castle Park which was nice but nothing crazily great. 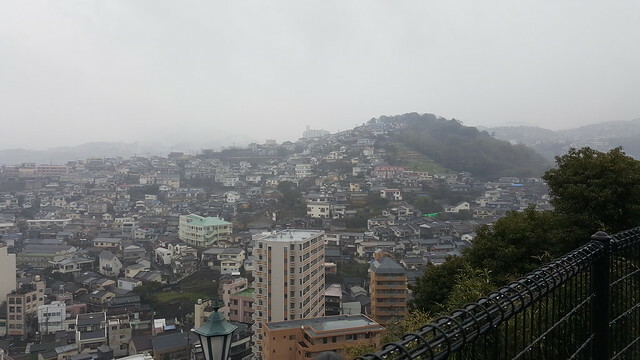 We paid 370Yen to visit the exhibits in the tower (rebuilt in 1957) and get a view from the top; again nothing spectacular but the views were good. 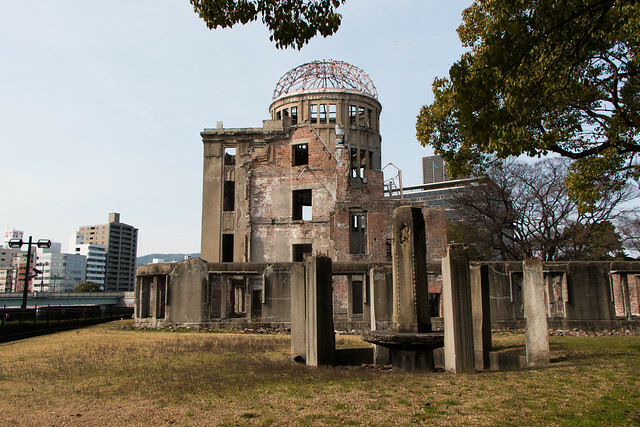 We made our way towards the Peace Museum and the Atomic Dome; two absolutely must-see and must-experience areas when visiting Hiroshima. The Peace Museum is under renovation and there were conflicting reports about its openness but open it was and an experience it is. A little bit more pointed in its blame and victimization than its Nagasaki counterpart. I guess they can do whatever they want but the focus here is on the suffering of the people (down to the gory details of the horrendous injuries). A short stroll up the river past a couple more atomic monuments is the Atomic Dome; the most iconic structure in Hiroshima to survive the blast still standing. You can sit and stare and walk around the structure to reflect on humanity’s penchant for mass murder and hatred. 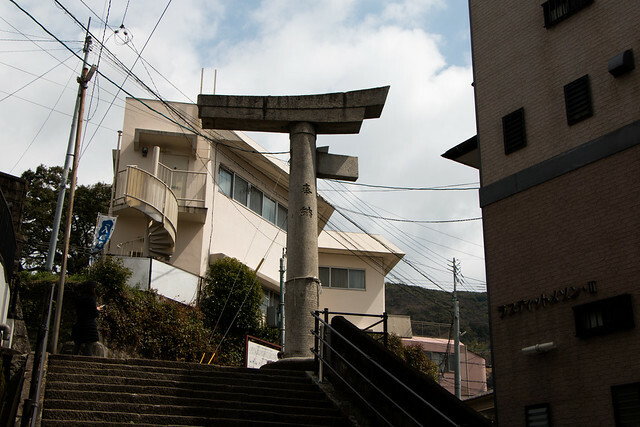 On a small side street opposite a nondescript small apartment building is a small pillar. 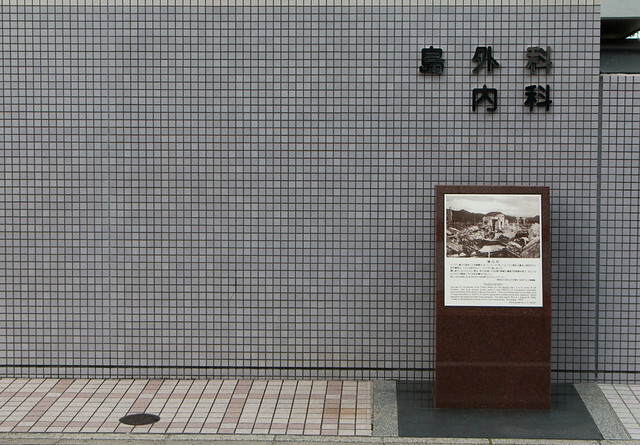 Directly above that spot the atomic bomb was detonated. A small reminder of a huge moment in humanities’ timeline. Find it if you go. It doesn’t seem to be that popular but upon reflection perhaps it’s the most poignant part of Hiroshima to visit; as locals just get on with their daily, normal lives. 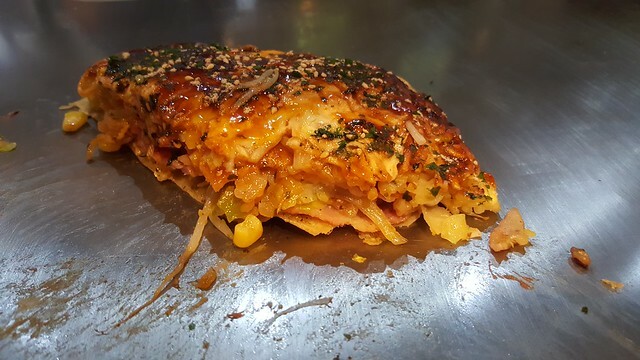 Hiroshima also marked our first taste of Okonomiyaki; a delicious savoury pancake filled with whatever floats your boat. We found a spot that was deemed popular, 新天地みっちゃん, right beside an Irish bar we were magnetised towards. Getting there right after they opened was a good idea as it got busy very fast. Filling and wholesome; we had a slightly inferior one when we visited Kyoto. 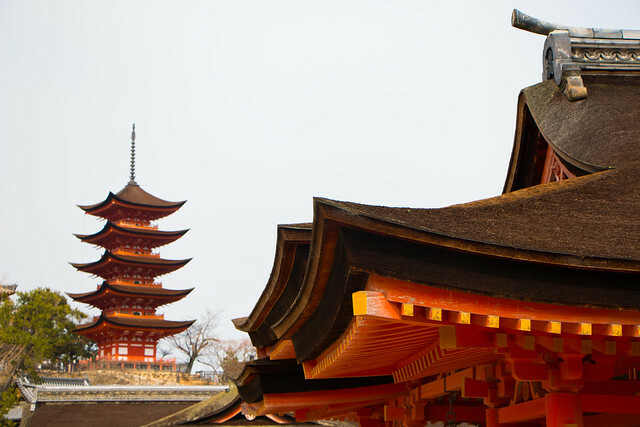 If you have a Japan travel guide perhaps it has a big red gate (or Torii) on the cover. That’s on Miyajima island, so I had to plan a little side trip there. From Hiroshima station it’s a 28 minute train journey on the JR Sanyo line to Miyajimaguchi station and then take the JR ferry across to the island (both train and ferry covered on Japan Rail Pass – but make sure you take the JR ferry and not the other one). As we wanted to chill out for a bit we stayed one night and this would mean we could also see the Torii at high and low tide. We also could experience the island after the hundreds of tourists had left on the last ferry. We stayed in our only ryokan (Yamaichi Bettkan – my review here) on Miyajima as it had great reviews on TripAdvisor. 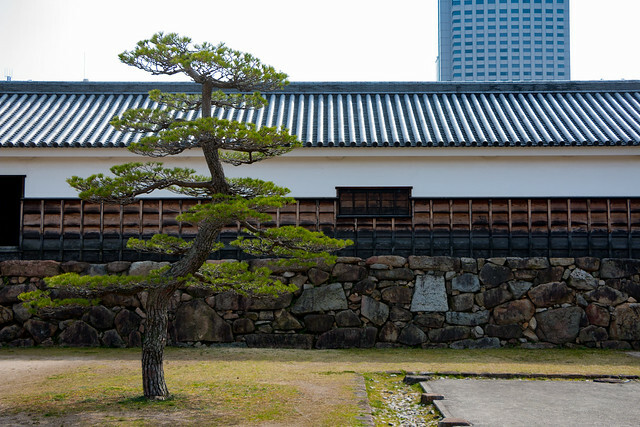 Ryokans are traditional Japanese rooms with floor mattresses and seats. It was nice to experience it and the breakfast the following morning was tasty and very fresh. The island itself is interesting – albeit very busy with tourists. There are deer roaming around eating maps and any loose things that tourists are not paying attention to. 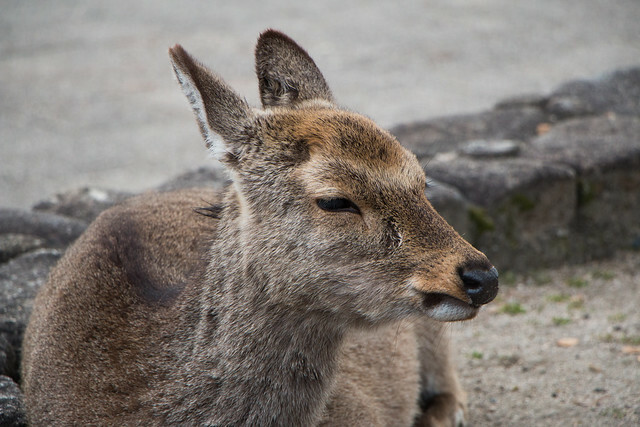 It is forbidden to feed the deer so they are in this weird limbo where they are used to taking from tourists now and not from the land – bit of a crappy situation. It doesn’t help that tourists will do anything for a selfie with them. There are a couple of things to see on the island – you can get up to the summit of Mount Missen by hiking or cable car, stroll along the busy food and souvenir streets, and visit the various temples. The main thing to do is just sit back and admire the famous red torii though. More spectacular with high tide than low tide; it’s still an impressive sight in either. 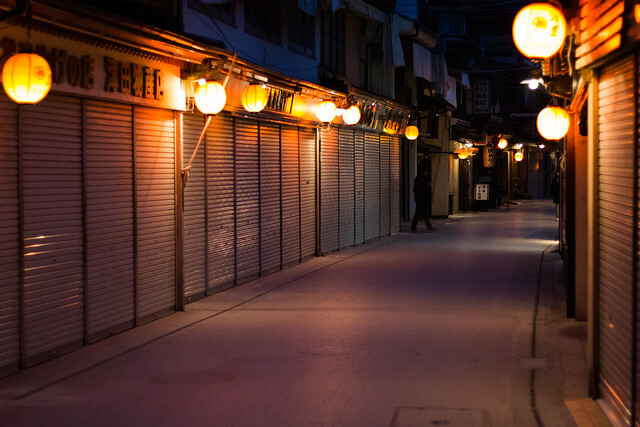 If you have one day to spare spend a night on Miyajima to experience it after dark without the throngs of tourists. 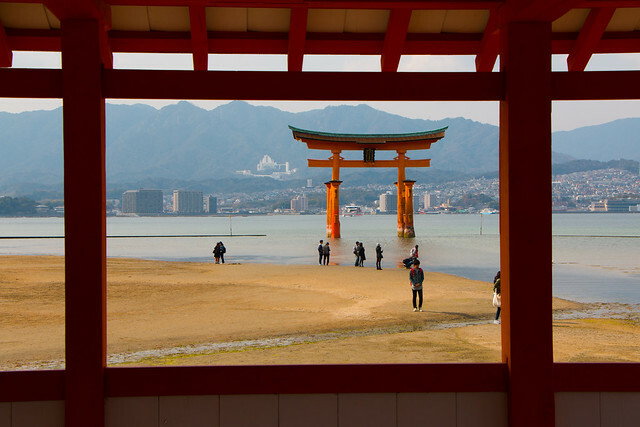 Make sure you also find some Miyajima beer and Momiji Manjyu – the tasty maple pastry that is baked up on the island. Part 2 will be posted soon and will finish up with visits to Osaka, Nara, Kyoto, Yokohama, and Kamakura. Previous PostPrevious Bike Sharing – Singapore Isn’t Ready For This Yet! 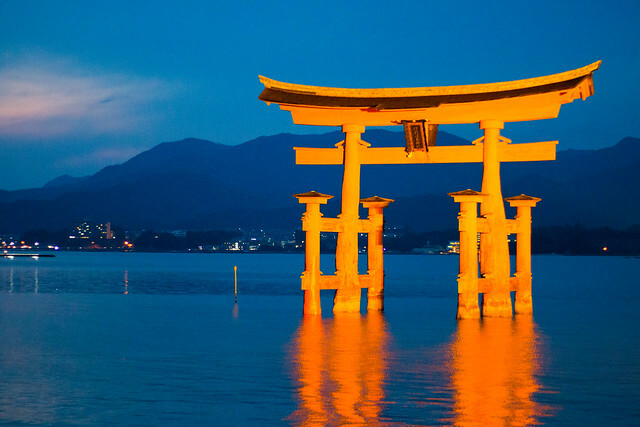 Miyajima seems like a good place to visit… I’ve yet to visit Fukuoka and Miyajima. Might plan a Fukuoka (IN) and Osaka (OUT) trip in the next year! Good to see you! Yeah, I would recommend a Fukuoka visit. The further north you get the more you get smothered by throngs of tourists.